An expert in integrative medicine helps women lose weight and look and feel years younger with a simple, science-based thirty-day plan that focuses on one magic word: testosterone. As women grow older, many struggle to lose weight. Unlike men their age, women more often suffer from sleep problems, osteoporosis, and depression. Some even feel as though they age faster and less gracefully than their male counterparts. While there is ample discussion in the medical community about the effects of estrogen loss, more than ninety percent of women over age forty-five suffer from low testosterone levels. Dr. Tami Meraglia wants women to know that a healthy dose of testosterone can help you slim down, improve your moods, lower your risk for cardiac disease, increase energy and libido, prevent osteoporosis, enhance skin tone and texture, and possibly even prevent cognitive decline. 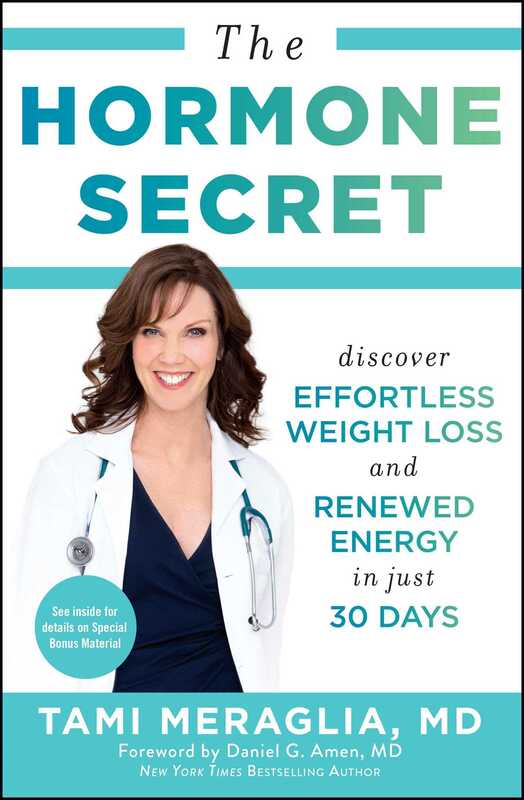 In The Hormone Secret, Dr. Tami offers an evidence-based thirty-day plan to restore testosterone and balance the relative levels of other hormones, based on lifestyle modifications such as supplements and nutritional adjustments. She also offers a Mediterranean diet–based meal plan and low-impact exercise ideas that will immediately boost your energy. The Hormone Secret is an indispensable guide to taking back control of your hormones and improving your vitality for a strong—and long—life. Can Testosterone Help You Get Pregnant?